When I feel depressed, food is my cure. I love making something warm and delicious to ease whatever sadness I may be feeling. 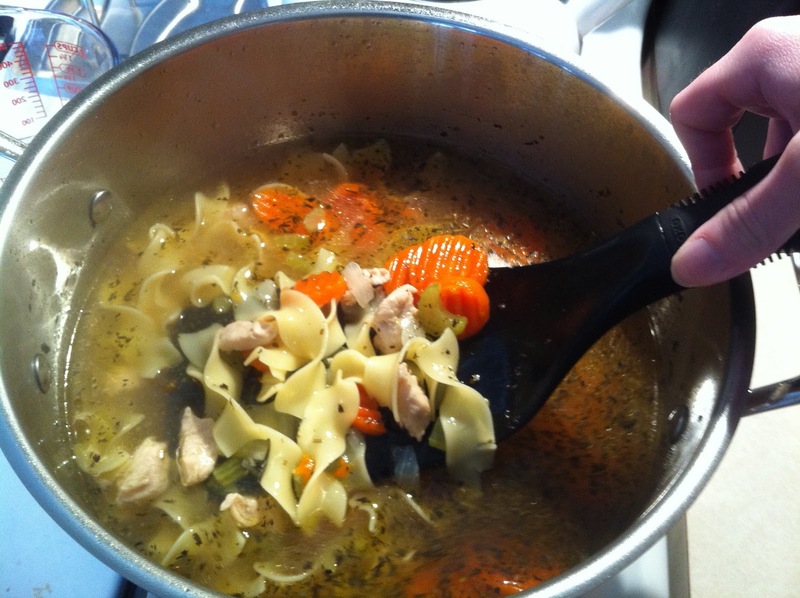 Yesterday, my choice of medicine was chicken noodle soup. I’ve been asked about the recipe before, so I figure it’s time to post it. This is not TRULY homemade soup as I use a lot of purchased ingredients (including my broth). The nice thing is that this recipe is that it is an easy and fast way to make a comforting dish. I always serve this with buttered bread, and even though we both eat at least 2 bowls, this recipe provides meals for a couple of days. The other reason I love this recipe is that it is so easy to adapt to your own wants and needs. *Note: I use a lot of spices as they are our personal preference. I know it seems like an odd combination, but it works so well. I originally started off just adding in basil and oregano, however, and it was also delicious that way. 1. In a large pot, melt butter over medium heat. 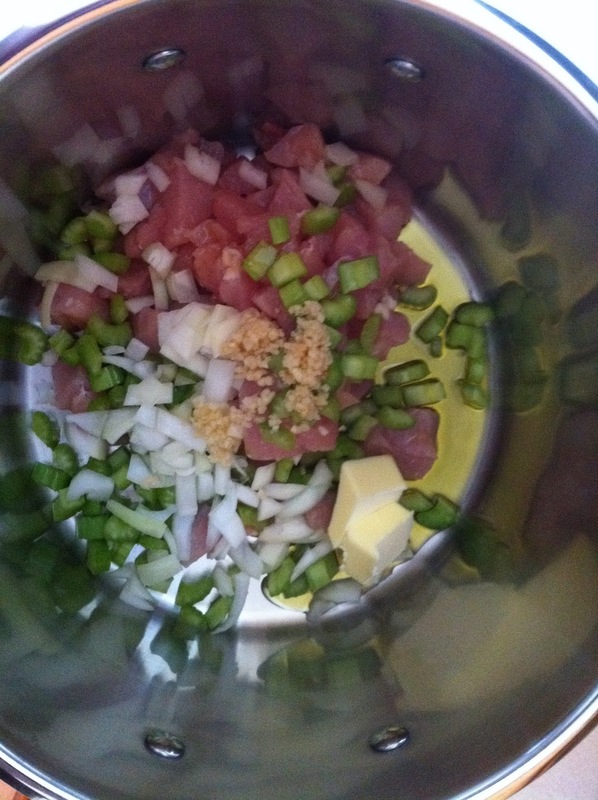 Add in onion, celery, and uncooked chicken. Continue to cook over medium heat until onion and celery are tender, and chicken is almost done. 2. Turn heat to medium-high and add in chicken broth and water. Allow to simmer together, stirring occasionally. 3. Add in carrots, noodles, and all seasonings. Bring to a boil, then reduce heat and simmer 20-30 minutes before serving. Stir occasionally. Mmm, sounds good! I’m making lentil soup in the next couple days. Need that comfort! I’ve never had lentil soup, but any soup sounds good with this frigid weather. I love soups and slow-cooker recipes during the winter.